Learn to play the Star Wars Theme on the piano! Nice to have you back again 🙂 Awesome that you want to learn playing piano with me. I'll give my best to support you with easy piano tutorials and simple explanations. It's a lot of fun to play this ragtime-sound. Enjoy! If you're a beginner, I recommend you to start with my easy version of the tutorial. First of all I play the song on the piano, so that you can see what you'll learn in the video. Then I show you how you can play it, too. We'll go through this song step by step. I explain all notes and chords and I hope that you easily manage to play the famous Star Wars Theme. It's possible, I promise! At the end of the first video I play the whole part again but very slow, so you can follow better. The same applies to video 2, where you can find the second main theme of the song. It's very important to me to give people the possibility to learn playing the piano online and for free, because it's such a great instrument and it makes so much fun. 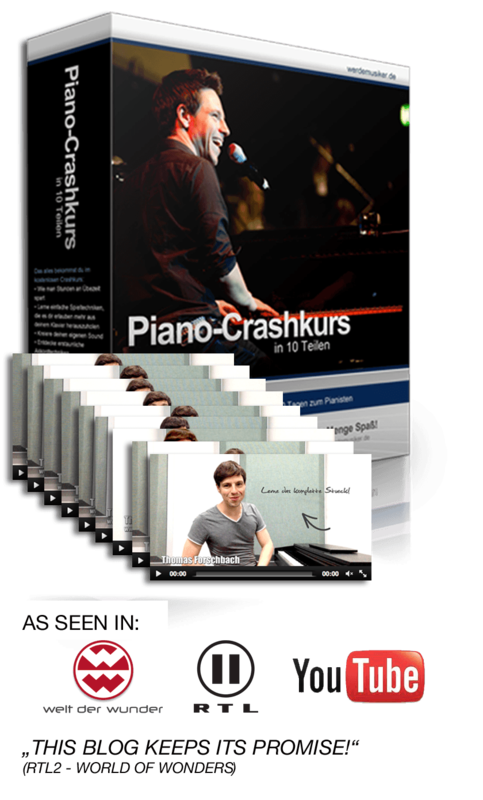 If you sit on the piano for the first time and you don't know how and where to start, then my free crash course for beginner is a great way to get started! You can find it here. Or learn to play many other popular songs. If you've any question don't hesitate to contact me, either in the comments below or just write me an email.